Yoga helps build calm, confident, self-aware and healthy kids! Our 8-week, Kids’ Yoga series takes a light-hearted and fun approach to building yoga and life skills – developing strength and flexibility while teaching kids how to reduce their stress, get calm, and stay focused in any situation. During this 8-week class, we’ll build your strength and flexibility in a setting that’s non-competitive and fun. You’ll learn and practice the essential yoga poses – plus some challenging balance poses. More than that, we’ll show you how to tune in to your mind and body, get calm, and stay focused – yoga is great for handling anxiety and stress. You don’t even need to bring your own mat – we’ve got plenty at the studio! From an introduction to meditation, to basic flows, including Sun Salutations, you’ll be challenged in every class – but also encouraged to work with your body, in a way that’s right for you. At the end of the 8 sessions, you can try out any class at the studio with a 2-week unlimited pass! 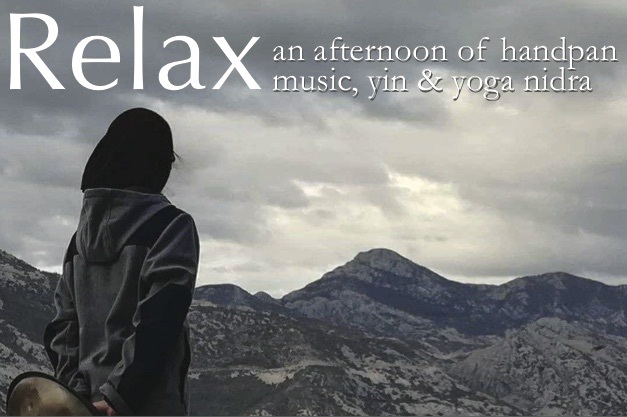 Our afternoon journey begins by warming the body up with a series of Yin Yoga poses while accompanied by music played by Kiyoshi. These long-held, passive floor poses will open the lower part of the body – the hips, pelvis, inner thighs and lower spine, preparing the body for our deep Yoga Nidra relaxation experience. Yoga Nidra is a state of consciousness between waking and sleeping, like the “going-to-sleep” stage. It is a state in which the body is completely relaxed. Yoga nidra is among the deepest possible states of relaxation while still maintaining full consciousness. The BackMitra is an ingenious foam strip that is effective to release tension in the spine, and is helpful in assisting to realign & reestablish the natural curves of the spine. The practice helps with increasing mobility, breath capacity, and health. The BackMitra invites, a direct felt experience of your bones to promote a profound release allowing muscular tension to melt. The BackMitra helps counter all of our daily habits, such as ‘text neck’ and ‘office posture’ and all of the other habits we all fall into that compromise our physiology & structure in our busy & full lives. Using this prop regularly supports practicing yoga from the inside out. Less tension equates to more ease, optimizing mobility and inducing relaxation. The BackMitra is effective, safe and simple to use, and facilitates significant release through all the layers of the back & front body. Note: The BackMitra is not suitable for those with bulging or herniated disks.